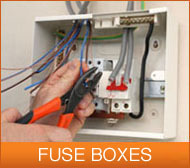 We are one of the most prestigious up and coming electrical contractors in Bedfordshire. 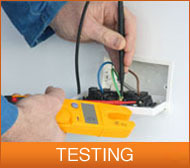 GKC Electrics have a wide range of technical ability in all aspects of electrical contracting whether it be in new housing, industrial installations, commercial or domestic heating or inspection and testing. We have over ten years experience in domestic and commercial installations covering Beds, Bucks, Dorset, Herts, London, Middlesex and Northants. 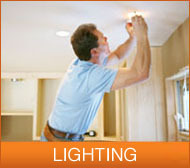 The friendly service and ability to deliver on time has always been a key factor in maintaining our existing clientele. 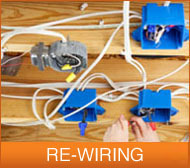 Through recommendation, we have received various new business in all aspects of electrical work. This close customer relationship and attention to detail has sustained GKC Electrics growth giving us huge potential to expand our work force and deliver even more reliable service. We look forward to working with you. All our work is fully certificated as we have been awarded the "Fully Approved Contractor" status through Elecsa, owned by the ECA (Electrical Contractors' Association). Our company is fully insured for public liability and employers liability - copies of all certificates can be seen on request. Our sister company GKC Digital provide a simple yet professional service to the public for the installation of TV aerials, Satellite including free sat and Freeview as well as additional TV points wall mounted Plasma and LED/LCD TV's and much more. Click to visit GKC Digital.